In the beginning of the year I had talked about going on a bit of a no buy. I have so much stuff that I need to use up (lots of it still brand new) so I made that a priority. I did really good too. I made exceptions for essentials and those few must have items. Otherwise I feel like I did really good this year. Then we got toward the end of the year and… well, so much for the no buy! But to be fair who can resist holiday collections/new products with all of these great sales going on? That being said I have a ton of new things to review. This time I promise to get the new stuff up while it’s still new. But first I have to make my way through the posts I already have lined up. 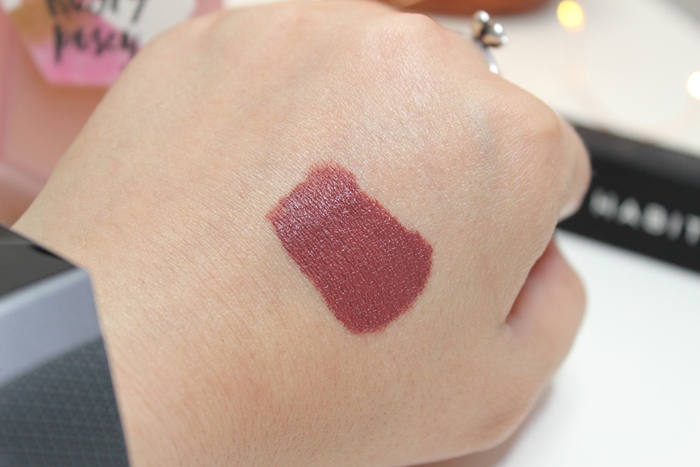 When I purchased the Bad Habit Beauty Liquified Matte Lipstick in Speed Dial I also purchased the shade Collide. 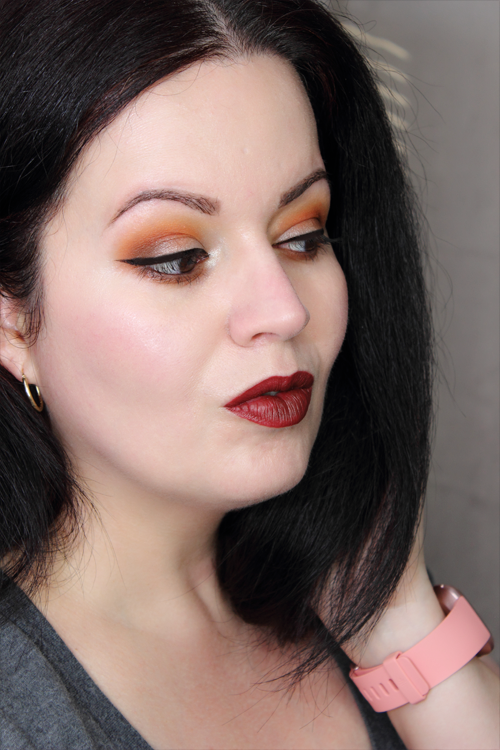 I thought both shades would be perfect for Fall. Collide swatched much nicer than Speed Dial and even applied a little easier. I did have to work a little at evening it out, but I feel like it applied more evenly and didn’t appear as patchy. Collide dried down a little better than Speed Dial too, but it wasn’t the most comfortable wear. It was a little more drying than I’d like. You can see Collide in action below. I really love that Bad Habit Beauty is expanding and adding more products to their lineup. I couldn’t wait to try their Liquified Matte Lipsticks. Trophy Life is really great and I love it! While I did like Speed Dial I can’t say that I loved it. It was just ok. Collide didn’t exactly wow me either. It’s a pretty red, but truthfully it’s not one I’d reach for often. I have many red shades that are a much more comfortable wear. 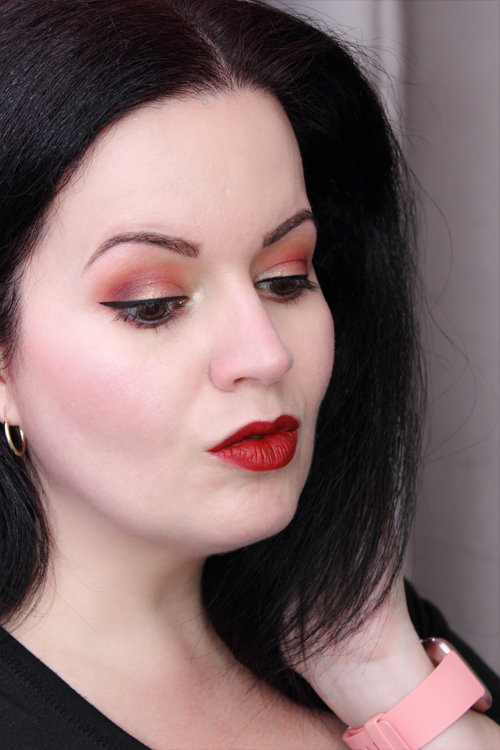 I think that’s about it from Bad Habit Beauty this year. Unless they come out with something new and exciting in the next few weeks. When I stumbled upon the Shop Hush app I really felt like I had found something special. I’ve talked about it so much already so I won’t bore you with the same old stories. While they carry many brands and products I mostly shopped there for the new Bad Habit Beauty goodies. That is until they removed them all from their website. Aside from the bundles sold at a much higher price. I suppose it would be a great deal IF you wanted everything in the bundle. But if you’re stopping by in hopes of picking up just the new palettes, you’re out of luck. They moved them all over to their website. This wouldn’t be so bad if we didn’t miss out on some of the perks. Like free shipping and the ability to apply your rewards. I’m really bummed about this change. 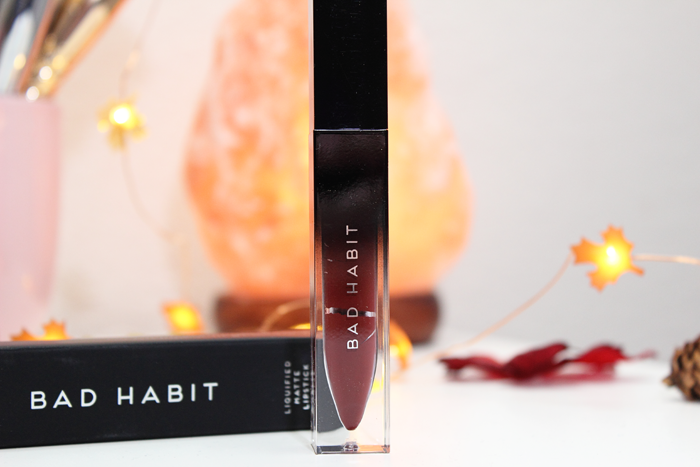 The last Bad Habit Beauty products I purchased from the Shop Hush app was Bad Habit Beauty’s new Liquified Matte Lipsticks. I first purchased Trophy Life. I loved it so much that I purchased a few other shades to test out. Today I will be talking about Speed Dial. I was really expecting Speed Dial to be as amazing as Trophy Life, but it wasn’t. It applied nice enough. I did have to work at evening it out a bit. Once it dried down it did look a little patchy, but most of the darker shades do. Speed Dial was a little more drying than Trophy Life, but it wasn’t too bad. I’m really digging the shade and feel like it’s the perfect Fall lip. 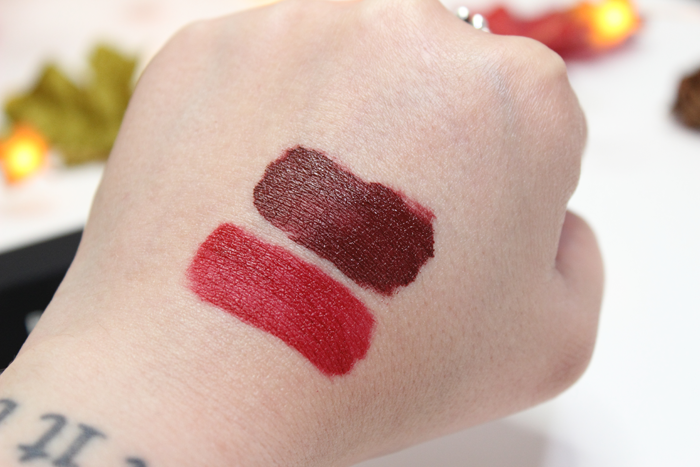 You can see Bad Habit Beauty Liquified Matte Lipstick in Speed Dial below. Overall, I did like Speed Dial, but I can’t say that I loved it. She’s no Trophy Life. 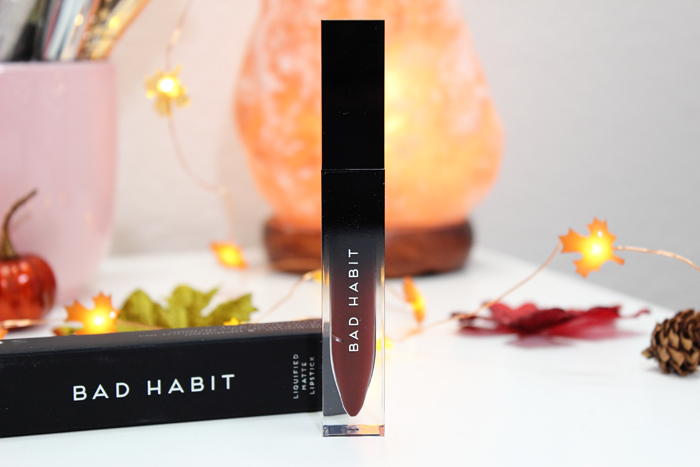 Have you tried any of Bad Habit Beauty’s Liquified Matte Lipsticks yet? I’ve been talking about the Shop Hush app and Bad Habit products since late last year. Ever since I heard about it I’ve been checking the app every single day. I’m not that obsessed. I swear. It’s just that the app has so much more to offer. Like claiming a daily reward that you can use for purchases later. They also have a feed similar to Instagram where you can post photos and interact with other fellow beauty lovers. Shipping is free and surprisingly super fast considering they ship from the West Coast. I usually receive my order within 2 days! Anyway, one day I happened to log in and saw that they had new Liquified Matte Lipsticks. Y’all know how much I love my liquid lipsticks. So I ordered one to try out. I had some points to use up and with free shipping it didn’t cost me anything. The packaging is pretty cool. A little bulky though. I did detect a light chemical scent, but it wasn’t bothersome. It applied so easily! I didn’t have any issues trying to even it out. Once it dried down it still felt a little tacky. It wasn’t transfer-proof, but it was still long lasting. After about 8 hours or so it faded to a nice even stain. I can’t really complain because it was super comfortable. I’m really digging this lipstick. 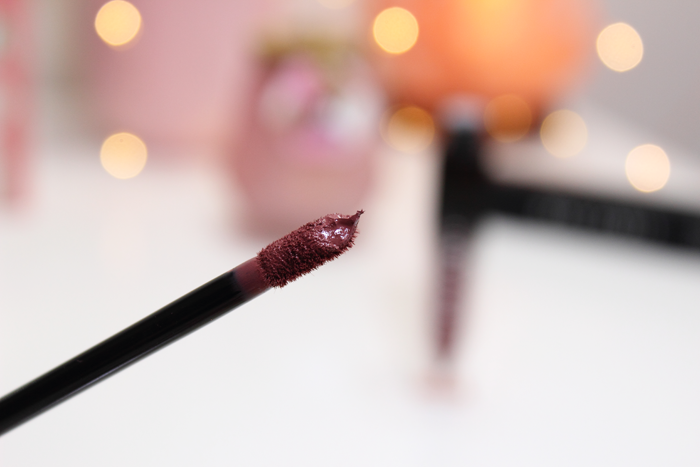 The shade is my perfect shade and it’s perfect for Fall. I’ve been reaching for it so often that I had to move it to my most reached for items drawer. 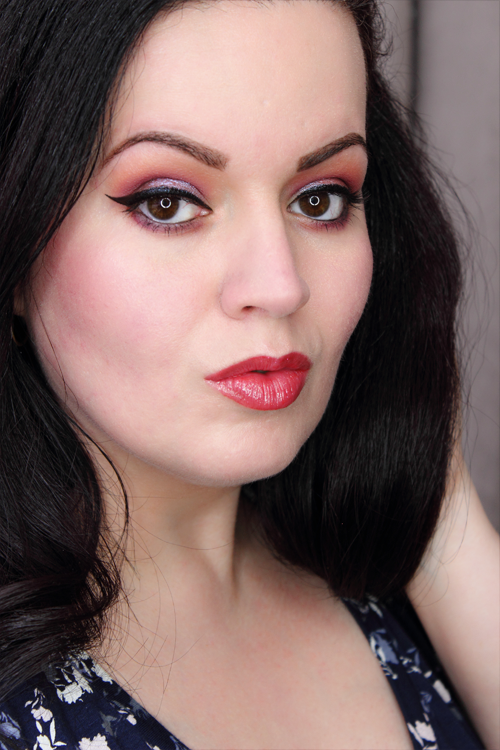 You can see the Bad Habit Liquified Matte Lipstick in Trophy Life in action below. Overall, I’d have to say that I’m very impressed with Trophy Life. After wearing it a few times I caved and bought a few more to try out. 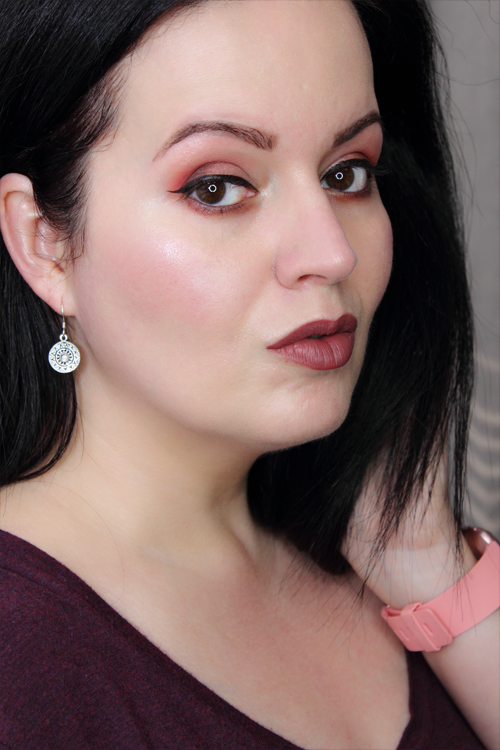 I opted for some of the darker shades for Fall. 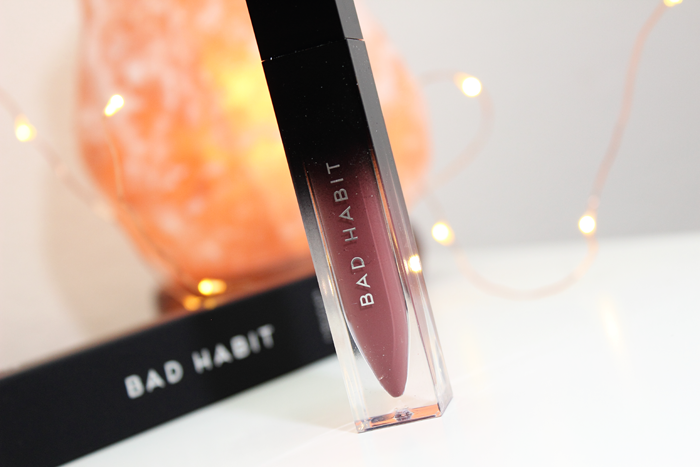 Have you tried anything from Bad Habit?